Packed into 28 hectares of Singapore Zoo are over 3500 resident animals that freely roam in spacious enclosures, representing their natural habitat. This tour comprises admission tickets to Singapore Zoo, along with pick-up and drop-off facility. With a tram ride inclusive of commentary, you can explore its five diverse zones: Australian Outback, Frozen Tandura, Fragile Forest, Reptile Garden, and Wild Africa, and meet over 300 distinct and rare species of animals including polar bear, African wild dog, kangaroo, Komodo dragon, Aldabra Giant Tortoise and highly venomous oriental whipsnake. Rayna Tours' Explore Singapore tour package gives you the opportunity to explore all the major places in the city-state of Singapore. We have planned the tour in such a way that you get to visit and enjoy all the major landmarks and important places completely. 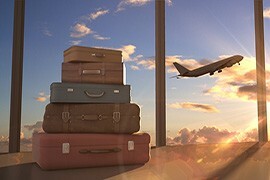 If you are planning a family holiday, this package is perfect for you as it caters to the needs of adults and children alike. The Explore Singapore package includes Singapore City Tour and the unique Night Safari. The Singapore city tour covers all the important places and landmarks of the city including Marina Bay, Chinatown, Little India, Boat Quay, Singapore Flyer, Gardens by the Bay, etc. A tour guide accompanying you would give you a detailed account on the history or story behind the construction of everything you see, to make your tour enjoyable and interesting. Those who love wildlife and nature are in for a great surprise with the Singapore Night Safari. It is a one-of-a-kind zoo because you get to visit the zoo when everything else closes, i.e. at night. The Night Safari is designed in such a way that animals feel right at home, in their natural habitats. Seven rainforests have been recreated in this zoo, and you get to explore the place either by tram or by feet. The special lighting techniques at the zoo make it easy to see the animals and even interact with them during your tour. 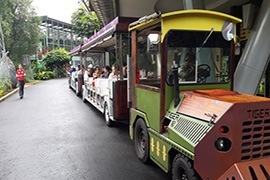 The Explore Singapore tour also includes a tour to the Sentosa Island, which is an island away from the mainland and is dedicated to entertainment. There are gardens, adventure parks, water parks and several entertainment zones that would make your Singapore tour truly memorable. One of the interesting places here is the Universal Studios which is a highlight for movie buffs. The Universal Studios has seven zones which are Hollywood, New York, Ancient Egypt, Sci-Fi City, Far Far Away, Lost World and Madagascar. Each of these zones would take you to your favourite city or movie where you can enjoy rides, shows, street entertainment, dining, shopping, etc. Explore Singapore is a tour package that takes care of all your travel needs including transportation. Book today for a fun time in Singapore! Will book this Singapore package soon again! This was the first time we were going on an international trip with our 7 year old twin boys. We wanted to make the trip exciting for them and hence chose this tour package. The boys loved every bit of the holiday. They had a great time at Universal Studios especially at Madagascar zone, which is also their favourite movie. Like all kids, they also loved Singapore Zoo and the tram ride. Now every time we talk about a holiday, they say they want to go to Singapore! We loved those thrilling theme parks! 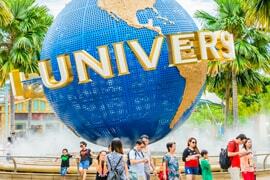 During our 2 days visit to Singapore, we were able to visit two of the best theme parks in Singapore. The Universal Studios is every Hollywood fan's dream! We visited the zones, enjoyed the rides and had a great time. But it was the Singapore Zoo and tram ride that we loved the most. The different zones are designed really well, giving it a natural touch. The Frozen Tundra and Australian Outback were the zones that we liked the best!